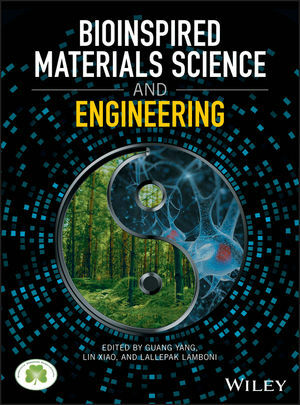 Bioinspired Materials Science and Engineering offers a comprehensive view of the science and engineering of bioinspired materials and includes a discussion of biofabrication approaches and applications of bioinspired materials as they are fed back to nature in the guise of biomaterials. The authors also review some biological compounds and shows how they can be useful in the engineering of bioinspired materials. Written for chemists, biologists, physicists, and engineers, Bioinspired Materials Science and Engineering contains an indispensible resource for an understanding of bioinspired materials science and engineering. GUANG YANG, PHD is a professor in the College of Life Science and Technology at Huazhong University of Science and Technology in China. Her research involves biomaterial, biomanufacture and nanomedicine. She co-chaired the 2014 Sino-German Symposium on Bioinspired Materials Science and Engineering (BMSE3-Bio). Dr. Yang has published over 90 peer-reviewed papers and numerous book chapters. She also has over 10 issued and pending Chinese patents and serves as a reviewer for several academic journals. LIN XIAO, PHD is a researcher in the College of Life Science and Technology at Huazhong University of Science and Technology in China. LALLEPAK LAMBONI, PHD is a researcher in the College of Life Science and Technology at Huazhong University of Science and Technology in China.